Are you an owner of a certain kind of establishment— i.e school, shops, fast food, hotel, restaurants— and your refrigerators or refrigerated cabinets are no longer enough for your expanding products? Or maybe you’re longing for constant and solid cold storage for your Freezer Room? Well, you don’t need to long anymore and you don’t need to search far and wide for a quality Freezer Room! Hamill Refrigeration Ltd is the leading expert here in New Zealand, specifically in Auckland, when it comes to refrigeration and freezer rooms are just one of our expertise. Freezer rooms are significantly becoming more and more indispensable as they are a strong and dependable storage material and when you purchase a caliber freezer room, you are ensured of uninterrupted performance to insulate your important specimens and materials. A freezer room is also a space-saver as it lessens the usage of the quantity or amount of space that individual freezers often necessitate. Whatever your purpose or application is for the freezer room; Hamill Refrigeration Ltd can give you the best service. Whether you want a huge capacity storage or a walk-in model, a drop-in motor system or split in motor, Hamill’s freezer rooms are custom-built, assessed, and sized to carry out your specific application and needs. We can do any magnitudes or interpretations for you because there are no size restrictions here at Hamill. Yes, there are so many to choose from but we can work together to attain the perfect solution. Let it be hassle-free on your part and let us do our job for you! And we don’t just leave you after the completion of the project or the process; we make sure that you keep having a well-maintained and perfectly functioning unit. 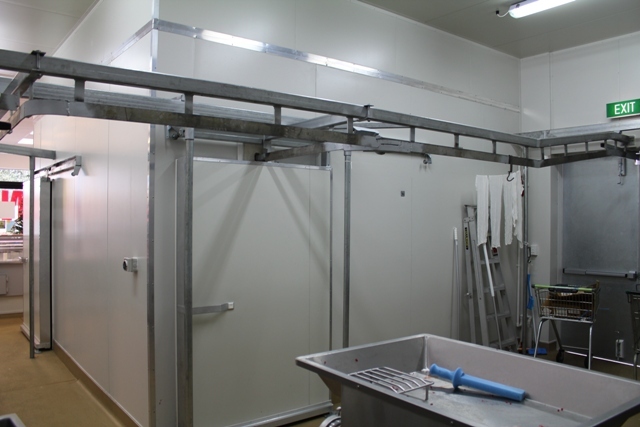 If you already have a freezer room and you need to refurbish it, we can do that for you too! You can always give us a call or drop by here in Auckland whenever you need help with your freezer room. Hamill will always leave you happy and satisfied. With Hamill Refrigeration Ltd, you acquire the finest support and services.